Another excerpt from “2014: the life and adventures of an incarnated angel”. “Come and join us!” growled Ieøq. “We are celebrating your stupendous victory, and this fabulous incursion of wings. I don’t think we have seen so many feathers here on Orion since we attempted Vegan ostrich farming several centuries ago. Boy, was that a mess! But do not worry, we do not eat angel meat as we find it too sinewy for our rather refined tastes. Now humans – that is a delicacy … too bad so many of them are now diseased. You know, that is why we had planned to overtake their planet. To kill off the weak ones and enslave the strong ones while integrating them slowly into the Orion race. But obviously, the blasted Intergalactic Confederation – again – has other plans. Of course, you never stoop so low as to talk to us. But you do go behind our backs to the Zeta Reticulians and help them to engineer an uprising against us. Pray tell – who is holier than whom, and what ever happened to your high ideals regarding non-interference and free will? I suppose that you privately refer to the Empire of Orion and Zeta Reticuli as the ‘axis of evil’! Isn’t that in line with the type of thinking common on your beloved Terra? One day you make secret alliances and contracts with elements you consider to be subversive, and the next day you declare them to be terrorists and responsible for all evil in the universes … Would you like to see some of the contracts we have signed with leaders on Terra, which they reneged on when you and the Confederation began to intervene and interfere?” And with that, Ieøq and the others at the main table broke out into drunken laughter. All were quiet as Ga slowly advanced towards Ieøq and stood face to face with him … just two feet away. Ga began to tremble – not in fear, but in reverence – as he began to channel. His wings and the wings of each of the other twenty-eight angelic guards of the Seventh Heaven rose to full erection as he spoke. “The ‘Highest One’ is that which is essentially unnamed. 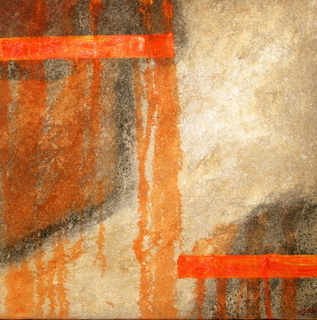 The ‘Highest One’ just is – representing soul consciousness in relentless and eternal transformation. The ‘Highest One’ is Creativity, Birth, Light, Beauty, Love as well as Disarray and Destruction, Mortal Death, Darkness, Ugliness, Fear … nothing exists without the grace of the ‘Highest One’. The ‘Highest One’ is the everlasting craving for oneness – entailing development, recycling and rejuvenation, always aspiring to more deeply realise the Oneness and to more frequently remember who one actually is. For we are expressions of the ‘Highest One’ – each and every one of us, here and in every physical and non-physical place in the Seven Universes and those yet to be created. The ‘Highest One’ is the very breath that we are born with, that which keeps us alive and that we give from us when we expire mortally … and which we carry with us in soul energy back to the Interlife, and return with upon reincarnation … until we no longer need to reincarnate. That ‘breath’ is the power of creation itself: the light and sound vibrations of the ‘Highest One’ – parcelled out to each and every entity in existence, and even those who we in a state of illusion think we are not in existence. Ga replied softly and with utmost respect: “That, my beloved comrades, was Archangel Michael.” And with that the angelic guards left the Orion celebration and returned to the tens of thousands of intergalactic spaceships that were positioned just outside of the atmosphere of the Empire of Orion, where they would rest before the terms of surrender were established the next morning. Previous:Excerpt from “The tunnel at the end of time”. 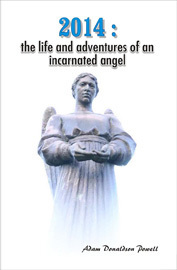 Next:2014: the life and adventures of an incarnated angel (excerpts). Pingback: ecological disasters | reptilian race | is 2012 real?